Sue Thiers Hesseltine joined Our Friends Place as the Executive Director on April 4, 1994. Sue is responsible for all aspects of the agency and reports to the Board of Directors. Sue has spent many years working directly with adolescents in capacities ranging from therapeutic camping to parenting and pregnancy teen programs to inner city youth programs. Sue's education includes a Master of Education from the University of North Texas, Denton, 1995, and a Bachelor of Science in Education from the University of Minnesota, 1982. Caitlin Doepfner joined Our Friends Place as Development Associate on April 3, 2017. She is responsible for managing development and financial functions plus donor relations activities. After graduating from Ursuline Academy of Dallas, Caitlin earned a B.A. in Anthropology with a minor in Political Science and a Master of Public Administration concentrating in Nonprofit Organization from the University of Oklahoma in 2015 and 2016, respectively. Along with her MPA, Caitlin brings development experience from nonprofit agencies in Oklahoma. LaCresha Van joined Our Friends Place as a Transitional Living Center Site Manager on February 12 2019. She is responsible for all aspects of Pauline’s Place Transitional Living Center. LaCresha has a Bachelor’s degree in Criminology and Criminal Justice from the University of Texas at Arlington. LaCresha spent several years working with at-risk youth in the juvenile justice department and has spent time as a case manager working with survivors of domestic violence. Cindy Washlesky joined Our Friends Place on August 23, 2016 as Program Specialist. Cindy manages the volunteer program, agency marketing communications (PR, website, print, digital, video and social media), plus assists with planning community/agency awareness and engagement events. She has a Bachelor of Science degree in Human Relations and Business from Amber University. Cindy has an advertising media planning and buying background having worked at advertising agencies in Dallas prior to owning a media consulting business. Nicole Price joined Our Friends Place as a Transitional Living Center Site Manager on June 26, 2017. In this position, Nicole is responsible for all aspects of Pauline's Place Transitional Living Center. Previously, Nicole was a Reentry Program Manager working with homeless and previously incarcerated populations in Washington, DC. She also has a background working with the criminal justice system. Nicole earned a Bachelor of Arts in Political Science from Grand Valley State University in 2008 and a MS in Forensic Psychology from Walden University in 2012. Nicole has years of experience working with under-served and at-risk populations. Janaye Easter joined Our Friends Place as a Transitional Living Center Site Manager on February 12, 2018. She is responsible for all aspects of Beazley House Transitional Living Center. Janaye has a Bachelor's degree in Psychology from the University of North Texas and a Masters of Education in Education Administration from the University of Phoenix. Janaye has eight years experience as a middle school teacher and spent time as a counselor at a residential treatment center. Throughout her career she has mentored young women. 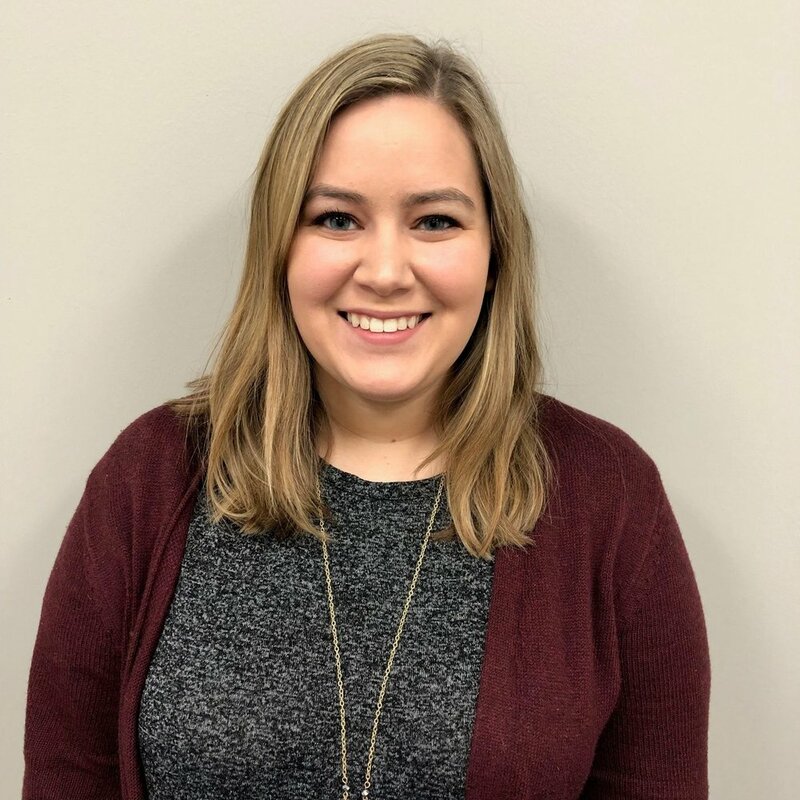 Marina Dewberry joined Our Friends Place as a SOAR Specialist on December 10, 2018. In this position, she is responsible for the non-residential outreach program, SOAR to Success. Marina holds a Bachelor degree in Social Work from the University of Mary-Hardin Baylor and a Master of Science degree in Social Work from the University of Texas at Arlington. She is a licensed Master Social Worker and has years of experience working with at-risk and homeless children, youth and young adults in both Dallas and Collin Counties. Elaine Logan joined Our Friends Place as the Executive Assistant on March 15, 2018. Bringing more than 25 years of logistical support from corporate and non-profit environments, she is responsible for administration and office management. In addition to Elaine’s professional success she has acted as a mentor to young women in vulnerable situations for the past 16 years. Libby Woolverton joined Our Friends Place as Outreach Specialist on October 16, 2017. She is responsible for the non-residential outreach program, SOAR, which is designed to help young women build a better future for themselves. After earning her Bachelor of Arts in Mathematics from Texas Christian University, Libby returned to TCU to earn her Masters of Education in Counseling and Student Affairs. Libby worked in housing and student affairs at two different universities before finding her passion serving the community in the nonprofit sector.